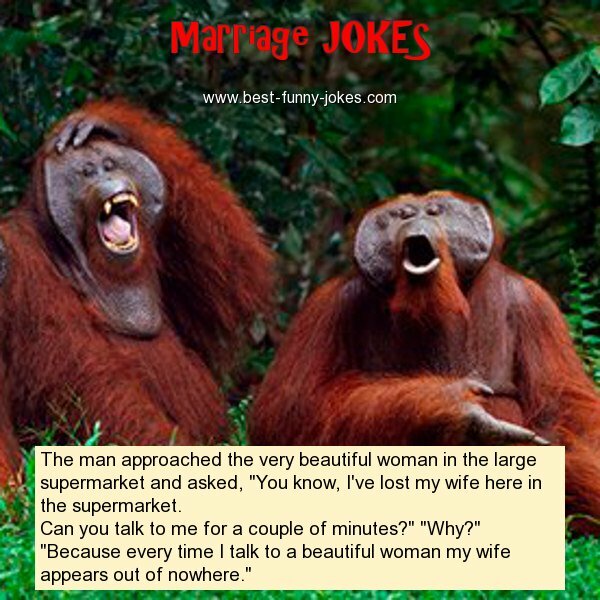 The man approached the very beautiful woman in the large supermarket and asked, "You know, I've lost my wife here in the supermarket. Can you talk to me for a couple of minutes?" "Why?" "Because every time I talk to a beautiful woman my wife appears out of nowhere."